Ben and I had our casual walk on a Saturday morning. We parked our car in Lansdowne Mall, window shopping in the mall for a while and then exit the mall and walked under the Canada Line for shades purpose. By the time we reached Aberdeen Mall, it was lunch time. We decided to have lunch at the Aberdeen food court. Lately, it’s hard for us to eat out as we cannot eat as much anymore. If it’s just the two of us, we cannot eat in a restaurant as ordering two items will be too much for us. Unless, we have to order something that we can bring the leftover home. Our most convenient destination is food court as we can get one item to share, especially when we plan to go out for dinner with our boys and we do not want to bring home any leftover food. 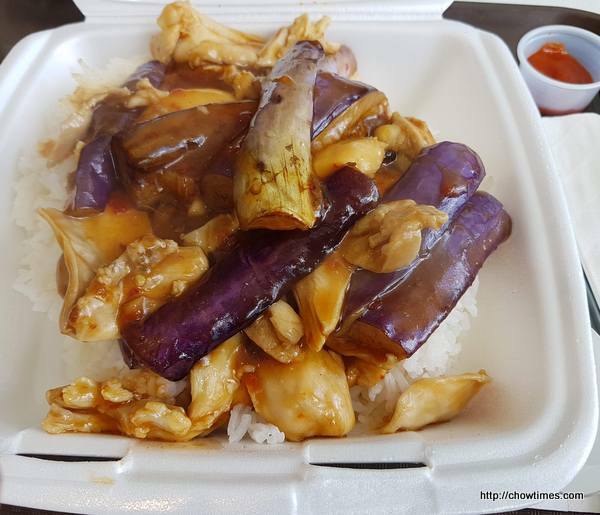 We ended up ordering an eggplant stir-fried with chicken ball from Mambo. The wait time was long, 20 minutes. The food was good; piping hot and the sauce went well with the steam rice. It was enough for both of us. The meal came with a free drink. 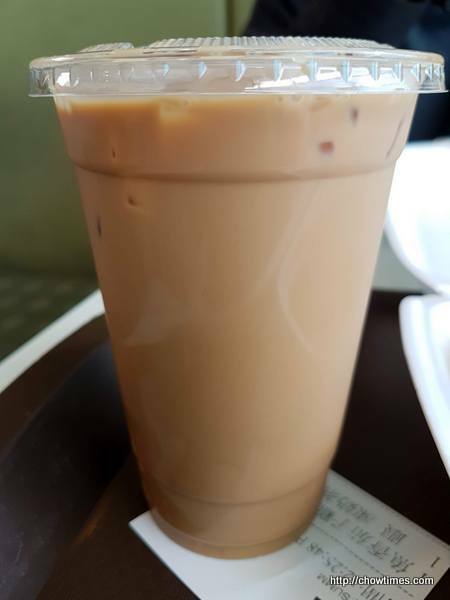 Ben wanted iced milk tea which has an extra charge of $1.00 for cold drink. Our meal, came to $10.75. 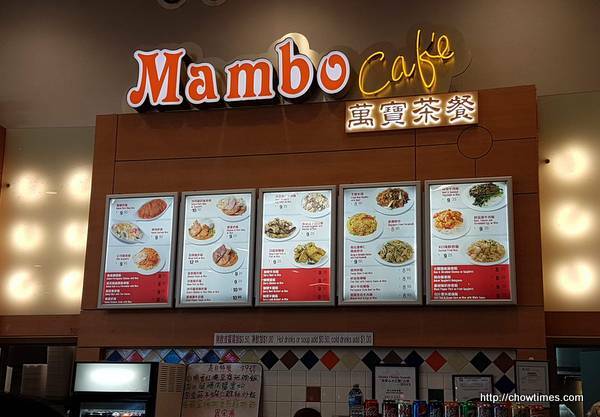 Mambo accepts cash only.